As with every year of the awards, these selections are based entirely on my own tastes, which are imperfect, narrow, and weird. The winners are below the fold. Some of the categories include runners up; the categories that do not contained far fewer entries on the long list, and so including a short list would basically have included the long list anyway. Silvia Moreno-Garcia’s debut novel gripped me by the throat and dragged me into the life of a group of teenagers in Mexico City. There was something both familiar and new about the experience: familiar because I recalled so many of my own teenage memories through reading about the protagonist’s (Meche) complicated everyday life; new because I got to experience these familiar memories in a completely different landscape from my own. 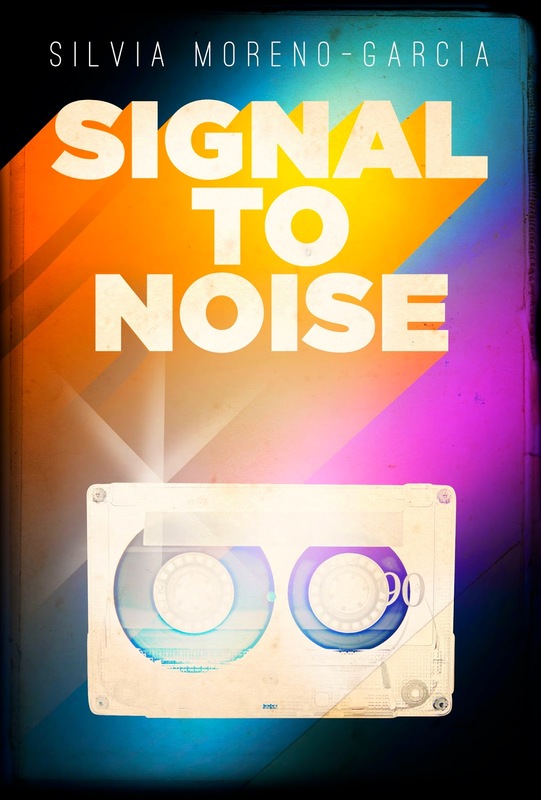 Moreno-Garcia brilliantly weaves the popular culture — specifically, music — of Mexico City into a tale of discontented youths discovering magic through music and sussing out just what that power means for their everyday lives and for the people they are now and hope to be. It is beautiful, compelling, poignant, and tragic. If you’re interested, we interviewed Silvia on The Skiffy and Fanty Show last year. Runners Up: Karen Memory by Elizabeth Bear (Tor Books), The House of Shattered Wings by Aliette de Bodard (Roc), Dark Orbit by Carolyn Ives Gilman (Tor Books), The Pride of Chanur by C.J. Cherryh (DAW), and Half-Resurrection Blues by Daniel Jose Older (R0c). I heard Usman Malik read part of this at a convention once, and if you’ve never heard him read from his work, you really should (the man has a way with the words!). 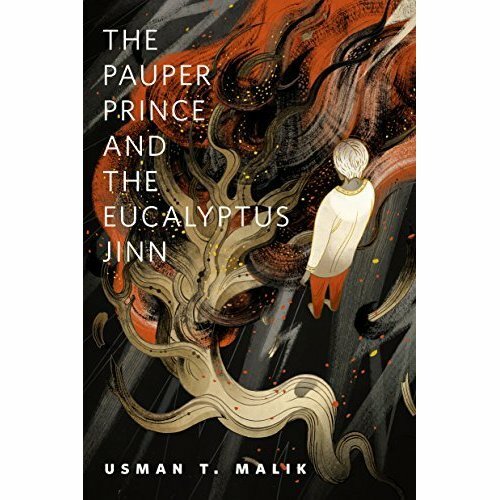 The Pauper Prince and the Eucalyptus Jinn brings the same whimsically dark prose I have come to love in his work — the kind of prose that won’t let me go even as it amazes and terrifies me. He is, to be frank, a beautiful writer, and the way he uses his style to approach the subjects that grace his work is always captivating. Here, Malik once more delves into the folklore and culture of Pakistan and the impact of the immigrant experience upon tradition, mediated through a tale of the fantastic — hence the title. It’s stories like this that convince me that Usman Malik is one of the best writers to come onto the scene in the past few years. If he writes something, I will read it. If you look at the long list, you will find a number of stories dealing with immigration, life on the border, etc. The reason for that is simple: this year, there were a wide range of exceptional stories on these subjects. A.S. Diev’s “Sacred Cows” is one such story. Set in a world in which flying cows exist, the narrative follows a journalist who crosses the U.S.-Mexico border to cover a murder trial. Diev deftly examines life in a border town and the conflicting economic and political interests such towns present. There is humor here (how could there not be? ), but it is the tragedy of the tale that most gripped me: the tragedy of life on the border and of journalistic silence. Any story that makes me feel like someone shoved a fist into my heartbox is a story that deserves some love. There were a lot of stories that did that this year, but the one that still haunts me is Sunny Moraine’s “It is Healing, It is Never Whole.” The story’s “soul train” premise explores the meanings and emotions of suicide with what I can only describe as an uncompromisingly emotional perspective. It was at times difficult to read because of the ways in which Moraine forced me to confront my own emotional baggage. 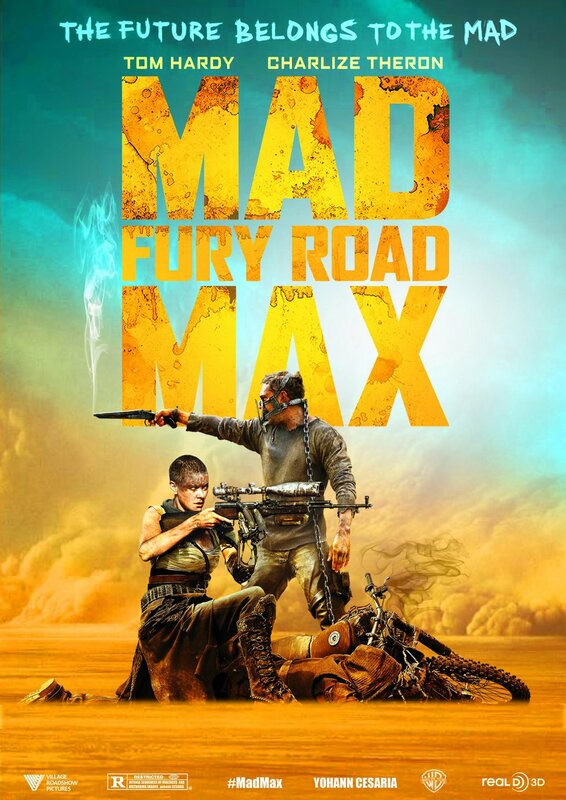 But the experience turned out to be cathartic, as some of the best stories sometimes do. 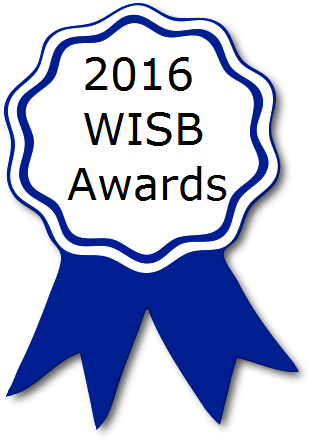 For that reason, I had to give it this award. I probably don’t need to explain why I loved this book. After all, I reviewed it for Strange Horizons last year. Runners Up: The SEA is Ours edited by Joyce Chng and Jaymee Goh (Rosarium Publishing), and The Space Opera Renaissance edited by David G. Hartwell and Kathryn Cramer (Orb Books). Calm, collected, and explanatory, Eric Flint’s direct response to Torgersen’s hysterics is one of the best pieces of online writing on the 2016 Puppy Fiasco. While I certainly don’t agree with Flint in all respects, I appreciate his efforts to suss out the underlying logic of Torgersen’s argument and to present reasoned counterpoints. After all, there is a certain “quagmire” feel to Torgersen’s attempts to rationalize his worldview, and so to see someone like Flint, an ultra liberal, tear down those arguments and inject reason into the mix is a welcome sight. 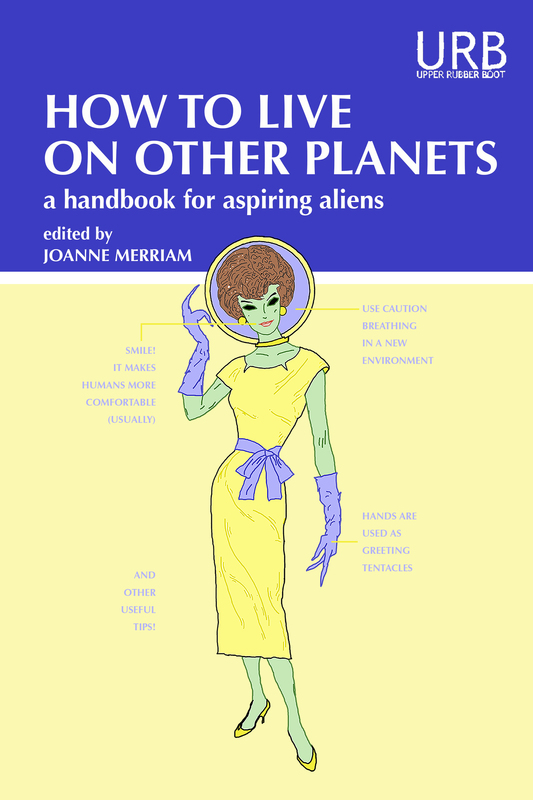 Runners Up: “Gender Discrimination in SFF Awards” by Justira, Renay, and owlmoose (Lady Business) and Letters to Tiptree edited by Alisa Krasnostein and Alexandra Pierce (Twelfth Planet Press). I honestly didn’t anticipate enjoying this particular comic as much as I did. In so many ways, this comic shouldn’t have been “my thing.” But upon the recommendation of some very kind souls (and Mike Underwood’s generous mentions of the comic in various podcasts and Twitter conversations), I gave it a shot…and I was blown away. 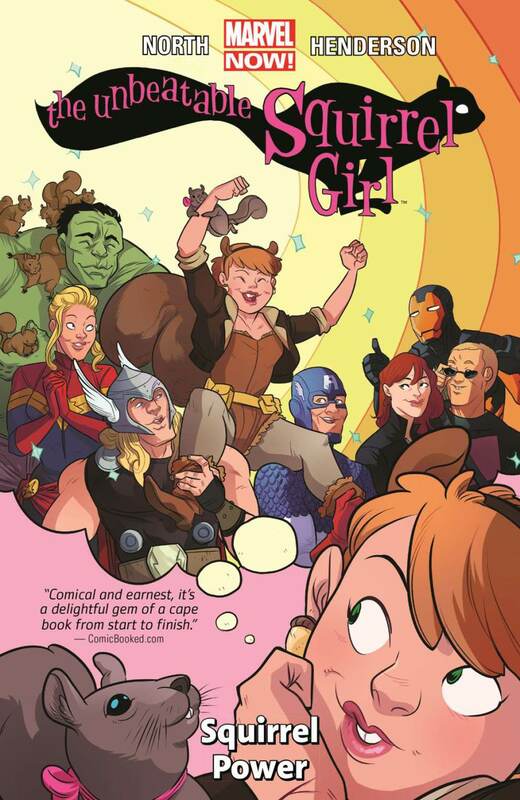 The Unbeatable Squirrel Girl is a quirky, upbeat, body positive, fourth-wall breaking extravaganza of pure joy. From her confident personality to her pension for finding solutions to superhero problems that don’t always involve punching people in the face, the first volume of this adorably dorky comic lands firmly in my list of favorite comics of all time. Runners Up: Saga Vol. 5 by Brian K. Vaughan and Fiona Staples (Image Comics) and Ms. Marvel Vol. 4: Last Days by G. Willow Wilson, Adrian Alphona, Jacob Wyatt, etc. (Marvel Comics). Runners Up: Ex Machina (dir. Alex Garland; DNA Films), Inside Out (dirs. Pete Docter and Ronnie Del Carmen; Pixar), It Follows (dir. David Robert Mitchell; Northern Lights Films), What We Do in the Shadows (dir. Taika Waititi and Jemaine Clement; Paladin Pictures), and Room (dir. Lenny Abrahamson; Element Pictures). The first in Marvel’s Netflix series, Daredevil set the gold standard for the series to follow, including its second season. 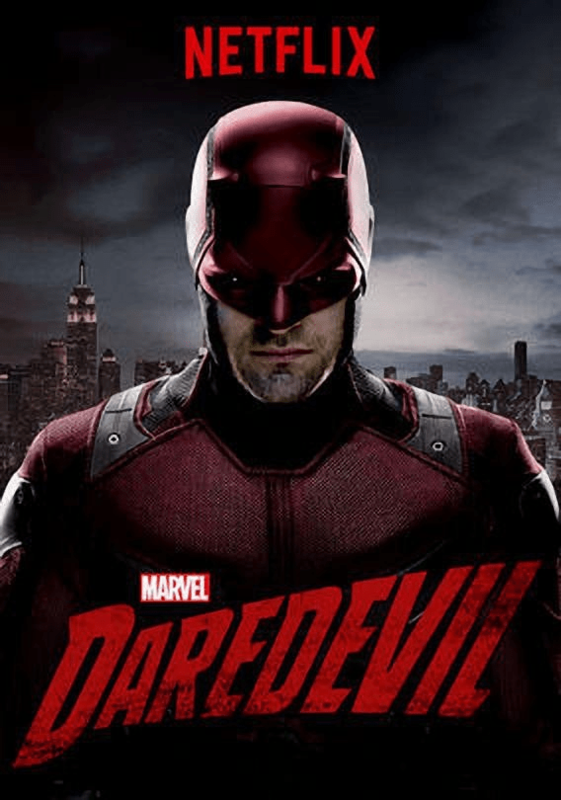 From Vincent D’Onofrio’s brilliant performance as Wilson Fisk to Charlie Cox’s surprisingly believable turn as hyper-sensitive Matt Murdock to the welcome complexity of Karen Page (Deborah Ann Woll) and Foggy Nelson’s (Elden Henson) narratives, Daredevil turned out to be one of Marvel’s best productions yet. Simply put, Daredevil is amazing. Runners Up: Jessica Jones (Season One) and Agent Carter (Season One). Ellen Datlow is, unsurprisingly, one of the best editors in the field. And her work this year was some of the best. She edited two of my favorite novellas, Usman T. Malik’s The Pauper Prince and the Eucalyptus Jinn and Kelly Robson’s Waters of Versailles, and a number of other exceptional stories for Tor.com. In fact, I have come to love so much of her editing work that I look forward to the next thing she puts out for Tor and eagerly await her wonderful anthologies (heck, even the Best of Horror ones, even though I’m not a big horror guy). We are truly fortunate to have Datlow’s vision in the sf/f field. Once again, Tor Books is on top of the heap. They published some of my favorite books this year, including Karen Memory by Elizabeth Bear, Updraft by Fran Wilde, Dark Orbit by Carolyn Ives Gilman, and The Traitor Baru Cormorant by Seth Dickinson, among others. It’s hard not to love what they do when they keep pushing out some of the best literature sf/f has to offer. Keep it up, Tor! I am so glad to have discovered the art of Niken Anindita, who hails from Indonesia. Her work has a profound brightness to it that I find captivating. Plus, I am a sucker for artists with a similar style, which reminds me a bit of Studio Ghibli. Anindita, of course, adds her own flare. See “the bus is late,” “one of these days,” and “sunset note part 2” for excellent examples of her style. There are so many great artists out there, but only one managed to sweep my artistic side off its feet. Runners Up: Daniel Dociu, Noah Bradley, Galen Dara, and Simon Stalenhag. This was a tough choice. The great thing about the Internet is that it has made it so there are so many sources of “my kind of sf/f.” Uncanny, Apex, Lightspeed, Clarkesworld, and on and on. But Tor.com had a truly exceptional year, releasing a number of stories that fall under my imaginary “best of the best” list, including The Pauper Prince and the Eucalyptus Jinn by Usman T. Malik, Waters of Versailles by Kelly Robson, “The Ways of Walls and Words” by Sabrina Vourvoulias, “Milagroso” by Isabel Yap, and “Please Undo This Hurt” by Seth Dickinson. So it is only fitting that Tor.com take the cake this year. Throughout 2015, File 770 managed a feat that frankly defies logic: it continuously covered the Sad/Rabid Puppy fiasco from start to…I’d say “finish,” but it hasn’t ended yet. Mike Glyer, whose name appears elsewhere on this list, provided one of the best resources for keeping up to date with everything from Sad/Rabid rants, award change discussions, anti-Sad/Rabid rants, and everything between. Of all of the blogs I read in 2015, this one became the most useful for keeping track of the insanity of the past year. Kudos to you, Mr. Glyer. Runners Up: Nerds of a Feather and Lady Business. I listen to way too many podcasts (the list is up to about 40…don’t ask). But Cabbages and Kings stood out from the lot by being both brand spanking new and a unique little sf/f program. If sf/f has anything approaching an NPR-style, genre dedicated podcast, Jonah Sutton-Morses’ audio baby is it. Jonah’s calm demeanor and ability to put together profound conversations about new and old works of sf/f literature and some of the issues in the genre “community” is something to be admired. I expect more great things from Jonah and Cabbages and Kings. After all, it’s already a great show. Runners Up: The Doorway to the Hidden World, Galactic Suburbia, The Incomparable, We Hate Movies, and Midnight in Karachi. I don’t know how Mike Glyer managed to read, quote, and post things about the Sad/Rabid puppies on a nearly daily basis for months. Maybe he didn’t mind if he suffered from high blood pressure, nightmares, the shakes, or worse. Or maybe he’s some kind of superhero who doesn’t suffer from the effects that keep the rest of us from daily Puppy lobotomies. Whatever it is that this man does to keep sane, I’m sure glad he did it. As I noted in the “Best Fanzine” section, Glyer did an incredible job covering the Puppy fiasco throughout 2015, and for that he deserves considerable recognition. Runners Up: Abigail Nussbaum, Renay Williams, Eric Flint, and Matthew David Surridge. Folks on Twitter probably know I’m a big fan of S.L. Huang’s Russell’s Attic series. So much so that back in the dark ages, I gave the first novel, Zero Sum Game, a very favorable review. Huang has since become one of my favorite writers, particularly the Russell’s Attic series, which takes the idea of a mathematics savant and stretches it to its logic conclusion: super sense. Hopefully, I’ll get to keep enjoying her work for years to come! The Kudos Awards is given to any member of the community who contributes a positive service to the genre community. And though I’ve already handed out two awards to Mr. Glyer, I cannot help but recognize him once more for his profound contributions to the community. I don’t need to say anything more. You know why he’s here. Kudos to you, sir. Thanks for doing what few people wanted to do! The Wappa Wag Award (formerly the Worst Person Who Happens to be in Genre Award) is given to, well, the Worst Person Who Happens to be in Genre Award. Or to a group. Note: I didn’t link to anything here largely because there are too many people to point fingers at. You know where to find them anyway. Thank you for doing this — clearly a lot of thought went into it. Very interesting choices. And some things I need to check out. But your episodes do address some of those topics. Sometimes explicitly so in the framing. It’s wonderful that you can explore a book and cover those topics at the same time. Don’t work on your branding. You’re awesome 😛 Just keep the good podcasts coming.